Tortoise Town offers the largest selection of captive bred tortoise for sale and turtles for sale in the world! Looking for a new captive bred baby tortoise? Over 25 species of healthy, captive-bred well-started baby tortoises are available year-round at Tortoise Town shipped in heated/cooled insulated boxes via UPS or FedEx Overnight for next morning delivery! Tortoise town is a family run company focusing on the sale of captive bred reptiles. We have a real biologist on staff, 24 hours a day who also provides care guidance to our customers. Thru captive breeding, tortoise town has hatched thousands of baby tortoises, bred and hatched in our facility, here in New Jersey. Our reptiles for sale are shipped nationwide, year-round. While our main focus will always be offering captive bred tortoises, we also offer quite a bit of other reptiles for sale. With a biologist, ON-SITE we offer over 25 species of baby tortoise hatchlings for sale & 6-month-old well-started baby tortoises, as well as juveniles and adult captive bred tortoises and land turtles for sale. 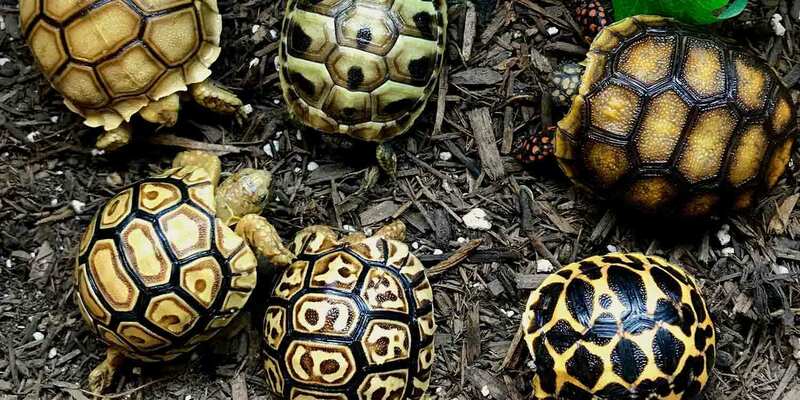 Some species include baby Russian tortoise, red foot tortoise, Sulcata tortoise, leopard tortoises, Greek tortoises, eastern & western Hermann’s tortoise, Indian star tortoise and more. We also offer captive bred wood turtles, water turtles, painted turtles, spotted turtles for sale and box turtle for sale, including baby box turtles for sale, eastern box turtle, ornate box turtles & 3 toed box turtles. Our animals are all captive-bred and never wild caught. We specialize in hand raised, indoor captive bred baby tortoises & aquatic turtle species, and box turtles. With a biologist, ON-SITE we are able to provide what we believe are the high-quality turtles & baby tortoises for sale online anywhere in the USA. Looking to buy turtles for sale or tortoises for sale? Tortoises that reach a max size of at least 18″ at full maturity are considered large tortoises. While large tortoises like the African Sulcata are Large to Giant tortoises for sale that are available from tortoise town include: Sulcata tortoise for sale (Sulcata tortoise are available in Ivory as well as Albino), leopard tortoise (baby leopard tortoises are available in Giant South African leopard tortoise Pardalis Pardalis as well as Pardalis Babcocki), Aldabra tortoise, as well as Burmese mountain tortoise include the Burmese Black Tortoise and Burmese brown mountain tortoise. Considering a tortoise that isn’t so tiny, but also isn’t a giant? Medium sized tortoises range in size from 910-16″ on average. Tortoise town has a large variety of captive-bred medium-sized tortoises. Some medium-sized tortoises include the Burmese star tortoise, Sri Lankan Star Tortoise, red foot tortoise, yellow foot tortoise, cherry head tortoise as well as Ibera Greek tortoise and the Elongated tortoise. Small tortoises range in size from as small as only 4″ to a max length of 8″. If you’re looking for a tiny tortoise or small tortoise species, typically you will be shopping within the “Testudo tortoise” family. This includes the smallest captive bred tortoise in the USA, the baby Egyptian tortoise. Besides the Egyptian tortoise, other small species include Hermann’s tortoise family like the Western Hermann’s tortoise, Eastern Hermann’s tortoise. Other smaller tortoise species available include the Russian tortoise, greek tortoise, as well as the beautiful Indian star tortoise. If you are searching for baby turtles for sale, including fresh water turtles or sale, or any type of aquatic turtle for sale, we’ve got ya covered! In addition to common water turtle species like slider turtles and pond turtles for sale, we also offer box turtles for sale. Tortoise town offers eastern box turtles for sale, as well as the rare species like the Chinese box turtle. Tortoise Town is proud to bring you the highest quality, hand raised captive bred tortoises for sale and turtles for sale in the United States. 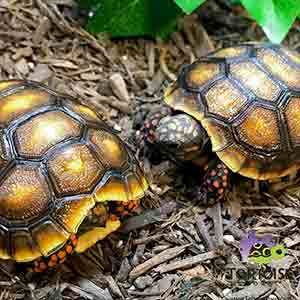 We offer a variety of captive-bred box turtles, tortoise hatchlings for sale, including sulcata tortoise, baby sulcata tortoise, captive bred russian tortoise, burmese star tortoise, Sri Lankan Star Tortoise, indian star tortoise, box turtle for sale, we offer the ability to buy pet tortoise online and get it shipped overnight to your door. Looking for color? Check out our gorgeous baby red foot tortoise, and baby yellow foot tortoise hatchlings. Some 0f the most important things to do before you buy a leopard tortoise online is to find the right baby tortoise and the tortoise breeder before you choose your new tortoise. Researching proper leopard tortoise care is pivotal to raising a healthy leopard tortoise baby and adult. As a captive bred tortoise breeder and tortoise farm, we have the highest quality baby star tortoise, leopard tortoise, burmese star tortoise for sale, box turtle for sale, baby sulcata tortoise for sale, african spurred tortoise, African spurred tortoise, spurred tortoise for sale, russian tortoise for sale, greek tortoise, we also offer baby hermann’s tortoise to buy online. When considering baby tortoises for sale online, consider buying from a real tortoise breeder that provides lifetime customer support, free of charge. Geckos, Chameleons, Ball Pythons, Tegus, Iguanas, & More available at CB Reptile! CBReptile.com is proud to have a biologist ON-SITE. All reptiles for sale purchased from CBReptile.com are 100% Captive Bred and come with a full LIVE ARRIVAL & 7 DAY HEALTH GUARANTEE including our box turtles for sale, iguanas for sale, baby panther chameleons, baby veiled chameleons, all of our geckos for sale, including our leopard gecko for sale, crested geckos for sale and gargoyle geckos. Looking to buy a gecko for sale online? We have a fantastic selection of 100% captive bred baby geckos for sale as well as adult gecko for sale online. If you’re looking to buy top quality leopard geckos for sale, crested geckos for sale, gargoyle geckos, chahoua geckos for sale or African fat tail geckos for sale, CB Reptile has a real biologist ON-SITE. Also, CB is working with top genetic lines to breed some of the nicest gecko for sale online anywhere in the world. Our crested gecko for sale inventory, as well as our gargoyle gecko for sale, leopard geckos, and fat tailed geckos for sale, comes from some of the best genetic lines in the world! We offer a full range of rare and common crested gecko morphs, gargoyle gecko morphs, and fat tail gecko morphs for sale. Follow us on Facebook for coupons, specials on tortoise hatchlings for sale, turtles for sale, baby tortoise pics & videos! All baby tortoises and turtles arrive with health guaranteed, via UPS or FedEx Overnight. TortoiseTown ships in heated or cooled insulated boxes.